The BC NDP and Green party caucuses have signalled that they are committed to having the upcoming referendum on electoral reform be a choice between the current electoral system (first-past-the-post or FPTP) and proportional representation (PR). Given that PR systems can vary widely in practice, this paper examines the institutional characteristics of three systems that are potential replacements for the simple plurality or FPTP system: Party List Proportional, Mixed Member Proportional (MMP), and Single Transferable Vote (STV). There are undeniable strengths in all three systems, but all are found wanting given the political realities in British Columbia. This paper argues that replacing BC’s current FPTP electoral system will require both trade-offs and an understanding of the impact that such changes will have on the way votes are counted. The Party List Proportional system is commonly used in most European democracies. In these systems, candidates run in ridings that have more than one member. There are two types of Party List system. The first is the Closed Party List system in which the electorate votes for their preferred political party. The second is the Open Party List system in which the electorate votes for their preferred candidate and their preferred political party. There can be many differences between these sub-systems stemming from their different seat allocation formulae, district sizes, and vote thresholds. Advocates for reform point out that the Party List Proportional system increases the likelihood of women and minorities being elected. However, critics note that this system, especially the Closed Party List system, weakens the link between the MP and the constituency. Germany, New Zealand, and Mexico, among other countries, use the Mixed Member Proportional electoral system. Its main feature is that it combines a plurality or majority system with proportionality. In this system, the electorate votes twice on the same ballot. The first vote, the party vote, is to select the political party. The second vote, the electorate vote, is the plurality or majority vote by which voters choose the candidate they wish to fill the seat. In most cases, FPTP is the selection method for the electorate vote. The advantages of MMP include: reducing wasted votes, providing more choices when voting, reducing the dominance of larger parties, helping smaller parties grow, and preserving the link between the MP and the electorate. However, by providing more choice, fringe parties tend to be given more power, which increases the likelihood of minority or coalition governments, increasing the possibility of collusion between parties to impede opponents, and potentially creating large and complex ballots. The Australian Senate, Malta, the Republic of Ireland, and Northern Ireland all use the Single Transferable Vote electoral system. Its main feature is that it enables voters to choose candidates from different parties, but also candidates from the same party. Because it allows voters to choose between parties and between candidates, it preserves the link between the MP and the electorate, helps independent candidates get elected, reduces the number of wasted ballots, and provides incentives to parties to provide a balanced team of candidates, which may help promote women and minority groups. However, because of the complexity of the electoral formulae, it tends to take a greater amount of time to determine winners with this system, it is prone to “donkey voting” whereby voters simply rank candidates in the order they appear on the ballot, and often leads to large and complex ballot papers. 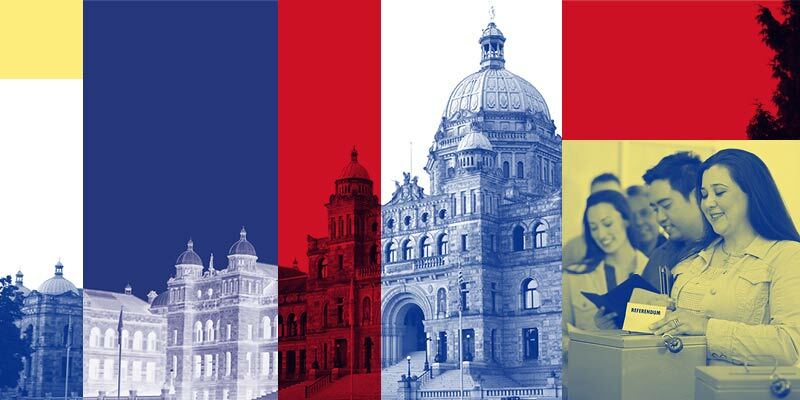 Any replacement of BC’s current FPTP electoral system will require trade-offs, an understanding of the impact that such changes will have on the way votes are counted, and what impact the new system may have on the legislature and the party system.